"The story of Cuba, told by one filmmaker over five decades." 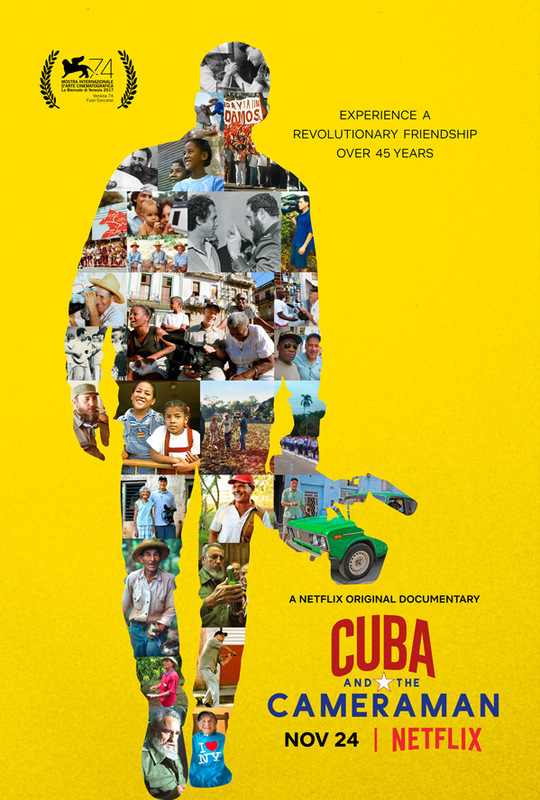 Netflix has released the trailer for the new documentary titled Cuba and the Cameraman, which premiered at the Venice Film Festival this year. This is made by filmmaker Jon Alpert, who has spent more time documenting and filming in Cuba than just about anyone else. Compiled from more than a thousand hours of footage and filmed over 45 years, Alpert follows three families and Fidel Castro to tell the story of modern Cuba. He was one of the last Americans to see Castro before his death. But the doc is also all about the people of Cuba, and the country itself, all the history is has gone through and the culture that has remained intact despite all of this. "He documented how these families and the Cuban leader dealt with the serious challenges gripping their country." Check it out. Since 1959, when Fidel Castro ascended to power in the revolution that marked an era, no one had ever gone as deep inside Cuba as Jon Alpert. The multiple-Emmy award-winning and Academy Award-nominated documentarian began filming in Castro's Cuba in 1972, having become fascinated with the country, its people, and its culture years earlier. Alpert brought along a small crew and a portable camera, beginning a fascinating, intimate, decades-long chronicle of the Communist country that was 90 miles off the coast of Florida, a longtime political foe, but a mystery to much of the world. Cuba and the Cameraman is directed by acclaimed filmmaker Jon Alpert, of many other TV specials and short docs previously. This first premiered at the Venice Film Festival earlier this fall. Netflix will release Alpert's Cuba and the Cameraman streaming exclusively starting on November 24th this month. Who wants to watch?